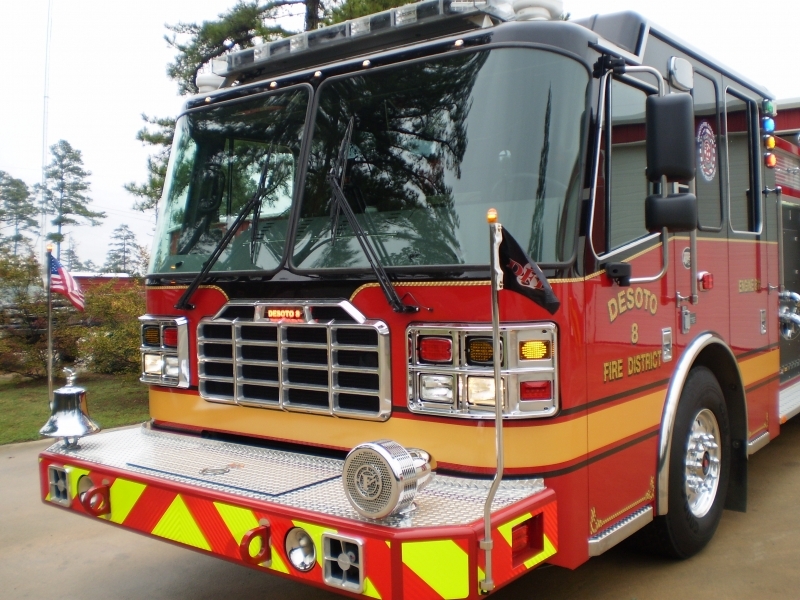 DFD 8 has received our new custom pumper from Ferrara Fire Apparatus. 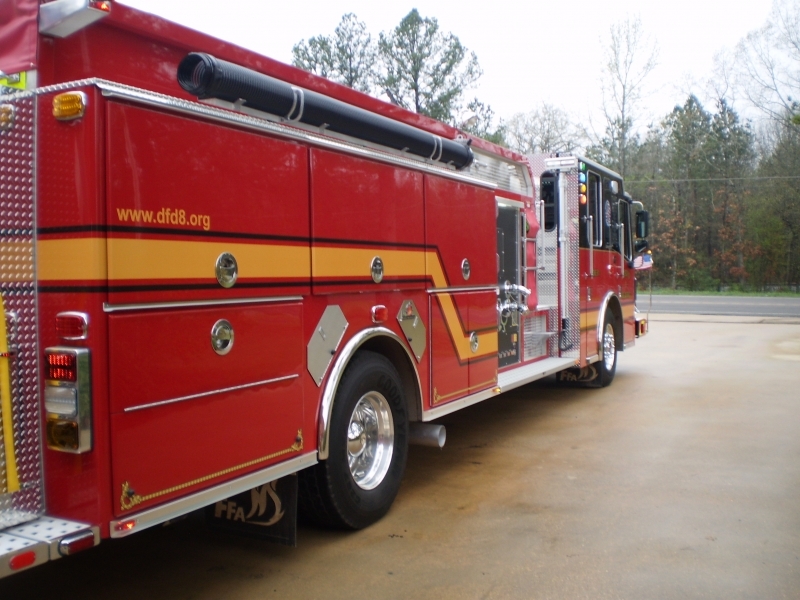 The new Engine 811 in now in service and ready to begin work as our frontline pumper. 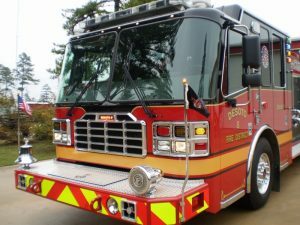 Some of the features in the new engine include CAFS, front bumper hand line, top mount pump, custom EMS cabinets inside the cab, and complete LED lighting package. See our photo gallery for more photos. DeSoto Fire District 8 is at Mansfield High School. DeSoto Fire District 8 is attending an event at Mansfield High School.